Definition at line 190 of file message.cpp. Definition at line 200 of file message.cpp. 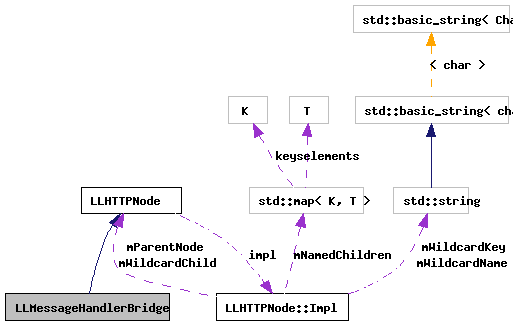 References LLSD::asString(), LLMessageSystem::callHandler(), LLMessageStringTable::getString(), gMessageStringTable, gMessageSystem, lldebugs, llendl, LLMessageSystem::mLastSender, LLMessageSystem::mLLSDMessageReader, LLMessageSystem::mMessageReader, LLMessageSystem::mPacketsIn, and LLSDMessageReader::setMessage(). called only on wildcard nodes, to check if they will handle the name; default is false; overrides will want to check name, and return true if the name will construct to a valid url. For convenience, the getChild() method above will automatically insert the name in context["request"]["wildcard"][key] if this method returns true. For example, the node "agent/<agent_id>/detail" will set context["request"]["wildcard"]["agent_id"] eqaul to the value found during traversal. Definition at line 192 of file message.cpp.